In so far as addition made u/s. 41(1) of the Act is concerned the Assessing Officer after going through the balance sheet of the assessee noticed that assessee has shown liability of Rs. 75,82,362/- as payable to M/s. Camy Plant, the assessee was required to furnish the confirmations from the creditors and also required to explain as to why the same should not be treated as cessation of liability u/s. 41(1) of the Act. Assessee vide letter dated 01.03.2014 submitted that in its case the conditions u/s. 41(1) are not satisfied as there is no remission or cessation of liability during the year under consideration. Assessee relied on the decisions in the cases of CIT v. Miraa Processors (P.) Ltd., [208 Taxman 93 (Guj.)] and CIT v. Nitin S. Garg [208 Taxman 16 (Guj).]. However, the Assessing Officer treated the said amount of Rs. 75,83,302/-shown as sundry credit in the balance sheet as cessation of liability u/s. 41(1) of the Act and taxed in the hands of the assessee observing that assessee has not submitted the confirmation from the creditor, genuineness of the transactions is not proved and the case law relied upon are distinguishable. Assessing Officer relied on the decision of the Hon’ble Supreme Court in the case of T.V. Sundaram Iyengar and Sons Ltd. [222 ITR 344] and concluded that there is a cessation of liability and accordingly he made the addition. It is not in dispute that the assessee is having dispute with the other party the creditor who executed the work beyond the stipulated time and the dispute is going on. It is an admitted fact that neither the assessee nor the creditor have written off the liability from their Books of Accounts. In such circumstances simply because the liability is outstanding for quite some years the liability does not seize to exist. 1. This appeal is filed by the assessee against the order of the Learned Commissioner of Income Tax (Appeals)-24 Mumbai dated 31.12.2015 for the Assessment Year 2011-12. “1.1. Because, the Id. CIT(A) has erred in law and on facts in upholding the addition of Rs. 75,82,302/- u/s 41(1) of the Act although the same remained payable to M/s. Camy Plant in the appellant’s books. 1.2. Because, the CIT(A) has erred in placing reliance upon a judicial authority which is completely distinct in facts. 2. Because, the Id. CIT(A) has erred in law and on facts in upholding the disallowance of expenses of ₹.1,00,640/- although complete explanation in that regard was placed on record. 3. Because, the Id. CIT(A) has erred in law and on facts in disallowing the expenses of Rs. 25,38,533/- allowed as discount to one of its debtors which was in the nature of write off of debt since the debtor had gone into liquidation. 4. Because, the Id. CIT(A) has erred in law and on facts in granting only partial relief in respect of the addition of ₹.21,56,984/- u/s 40(a)(i) of the Act by referring to AO for verification although all relevant material was already on record”. 3. In so far as Ground No. 1 &.2 i.e. the addition made u/s. 41(1) of the Act is concerned the Assessing Officer after going through the balance sheet of the assessee noticed that assessee has shown liability of Rs. 75,82,362/- as payable to M/s. Camy Plant, the assessee was required to furnish the confirmations from the creditors and also required to explain as to why the same should not be treated as cessation of liability u/s. 41(1) of the Act. Assessee vide letter dated 01.03.2014 submitted that in its case the conditions u/s. 41(1) are not satisfied as there is no remission or cessation of liability during the year under consideration. Assessee relied on the decisions in the cases of CIT v. Miraa Processors (P.) Ltd., [208 Taxman 93 (Guj.)] and CIT v. Nitin S. Garg [208 Taxman 16 (Guj).]. 4. On appeal, the Ld.CIT(A) placing reliance on the decision of the Mumbai Bench of the Tribunal in the case of Natural Gas Company Pvt. Ltd. DCIT [61 taxmann.com297] rejected the claim of the assessee. i) One order worth Rs 1,26,83,6007- was received from Flo-Dyne Limited, UK. ii) The original order was initiated by M/S Rasgas, Qatar to M/S Sidem, Paris to M/s Flo-Dyne Limited, UK to Flo-Dyne Controls, India (the assessee). iii) The assessee got this job executed through M/s Camy Plant, India. The actual job to be delivered was in Oct ’09 but delivered in Dec’09. iv) Job was directly delivered to Qatar in hopes that the money will come. v) M/s Rasgas, Qatar has given payment to M/s Sidem, Paris but M/s Sidem has not given payment to next in loop i.e. M/s Flo-Dyne Limited, UK. vi) In these circumstances, a rebate of 20% of the order amount i.e. Rs. 25,36,720/- was granted to M/s. Flo-Dyne Limited, UK. 6. Learned Counsel for the assessee further submitted that in view of the delay, the payment to M/s Camy Plant was halted to renegotiate the amount payable in view of the loss suffered by the assessee because of delay by M/s Camy Plant. M/s Camy Plant has issued legal notice to the assessee in this regard. It is submitted that the relevant documentary evidences showing job done by M/s Camy Plant are attached in the paper book. Learned Counsel for the assessee submitted that confirmation could not be obtained because of the ongoing dispute because of which the creditor is not co-operating. A Liability acknowledged by the assessee as payable in Balance Sheet cannot be considered as cessation where the creditor has not waived off the amount. (i) CIT v. Smt Sita Devi Juneja in ITA.No. 619/2009 Punjab and Haryana High Court. 8. Ld. DR vehemently supported the orders of the authorities below. “In the present case, the Assessing Officer made an addition of Rs.1,47,71,696/-on account of outstanding sundry credit balances as on 31.3.2004, while holding that liability in respect of these creditors had ceased to exist and as such, it had become liable to be treated as deemed income under Section 41 (1), Explanation-I of the Act. On appeal filed by the assessee, the CIT (A) partly allowed the appeal and the aforesaid addition was deleted, while coming to the conclusion that in the facts and circumstances of the case, the Assessing Officer has wrongly invoked the provision of Section 41 (1), Explanation-I of the Act. It has been observed that in the instant case, there was no unilateral cessation or remission of liabilities of Rs. 1,47,71,696/-, therefore, the provision of Explanation-I to Section 41 (1) of the Act is not attracted. 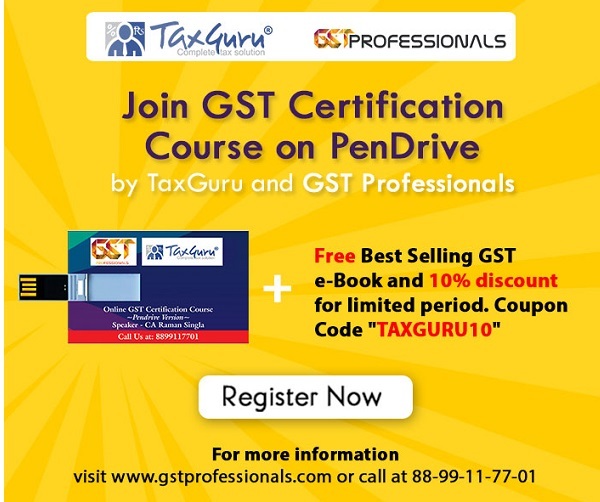 It was further observed that if the income is to be assessed under Section 41 (1) of the Act, the burden is on the revenue to prove this income, whereas the Assessing Officer has failed to give any finding in his assessment order regarding the mandatory requirement of Section 41 (1) of the Act. The Assessing Officer has also not given any finding regarding obtaining of any benefit of these trading liabilities in the earlier year. “11. In our opinion, for considering the taxability of amount coming within the mischief of S. 41(1) of the Act, the system of accounting followed by the assessee is of no relevance or consequence. We have to go by the language used in s. 41(1) to find out whether or not the amount was obtained by the assessee or whether or not some benefit in respect of trading liability by way of remission or cessation thereof was obtained by the assessee and it is in the previous year in which the amount or benefit, as the case may be, has been obtained that the amount or the value of the benefit would become chargeable to income tax as income of that previous year. we are in agreement with the said reasoning. 9. This judgment has been quoted by the High Court in the present case and followed. We have no hesitation to say that the reasoning is correct and we agree with the same. 10. The principle that expiry of period of limitation prescribed under the Limitation Act could not extinguish the debt but it would only prevent the creditor from enforcing the debt, has been well settled. It is enough to refer to the decision of Court in Bombay Dyeing & Manufacturing Co. Ltd. v. The State of Bombay and Others,  SCR 1122, If that principle is applied, it is clear that mere entry in the books of accounts of the debtor made unilaterally without any act on the part of the creditor will not enable the debtor to say that the liability has come to an end. Apart from that, that will not by itself confer any benefit on the debtor as contemplated by the Section. 11. Respectfully following the said decision, we hold that there is no cessation of liability in the case of the assessee. Hence this ground of appeal is allowed. 12. Coming to Ground No.2 i.e upholding the disallowance of expenses of Rs. 1.00.640/– and Ground No.3 i.e. in respect of disallowance of discount allowed by the assessee, Learned Counsel for the assessee submitted that, additional evidences were filed along with a petition for admission of the same and in view of the additional evidences the matter may be examined afresh. We have gone through the petition and the reasons provided therein for submission of additional evidences and we are of the considered view that since these additional evidences go to the root of the matter and assessee is prevented with reasonable cause in not submitting the same while completion of the assessment, we admit the additional evidences and restore both the issues in Ground No.2 & 3 to the file Assessing Officer for examining afresh in accordance with law considering the additional evidences. This ground of appeal is allowed for statistical purpose. 13. Coming to last grounds of appeal i.e. disallowance u/s. 40(a)(i) of the Act, the Learned Counsel for the assessee submitted that, assessee has deducted TDS in respect of the expenditure and remitted before the due date for furnishing of return of income u/s. 139(1) of the Act and therefore no disallowance is required to be made in the light of the present legal position. Therefore, the Learned Counsel for the assessee submitted that this issue also may be restored to the file of the Assessing Officer with a direction to decide in accordance with law, taking into consideration the latest legal position, after providing adequate opportunity of being heard to the assessee. 14. DR vehemently supported the orders of the authorities below. 15. On hearing both the sides, we are of the considered view that the contentions of the assessee have to be examined in the light of the latest legal position. Hence, this issue is restored to the file of the Assessing Officer who shall examined afresh in the light of the latest legal positon and decide in accordance with law, after providing adequate opportunity of being heard to the assessee. This ground of appeal is allowed for statistical purpose. 16. In the result, appeal of the assessee is partly allowed as indicated above.